Evidence suggests that dingoes (Canis dingo) can regulate populations of foxes and cats, but dingoes are relentlessly persecuted in Australia due to fears about livestock predation. The National Parks Association of New South Wales (NPA) identified the need for this gathering after devoting an issue of our quarterly journal, Nature NSW, to rewilding. The articles, one of which was written by Rewilding Europe, introduced various interpretations and approaches to rewilding including passive rewilding (often the approach in Europe following land abandonment), Pleistocene rewilding (aiming for a desired historical state), ecological surrogates (animals introduced to perform an important ecological function following the loss of a species) and large apex predators (animals that regulate food chains). The response to the articles, as well as debate in the scientific literature, highlighted the fact that there was no consensus on what rewilding is or what we should be aiming for in the Australian context. The forum set out to resolve this by asking what is and is not rewilding, what are the goals of rewilding and what do we need to do to progress rewilding. 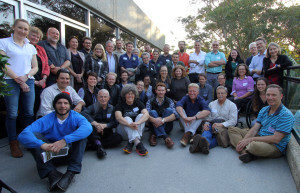 Of course, it’s impossible to get everyone along that you would like, but we had 45 participants representing 27 organisations—including many of Australia’s large non-government conservation organisations and the zoo industry. The forum was therefore a great first step in starting the national conversation on rewilding. 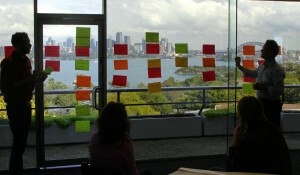 The National Rewilding Forum, held at Taronga Zoo in Sydney, Australia. Rewilding can occur at multiple scales, in different landscapes and in the ocean. Interestingly, the concept of de-extinction (cloning or genetic engineering of extinct species) as rewilding was not supported at the forum, and aiming for a particular ideal time period or to restore a ‘perfect picture’ was also rejected. Europe and Australia: different but similar! Australia has a problem that Europe does not share: introduced predators (red foxes and cats) are a major threat to lots of species of small mammals. These two animals mean rewilding will be different in Australia: for example, fenced enclosures that are kept free of foxes and cats are a necessary stepping stone in Australia as we move towards better functioning ecosystems outside the fence. 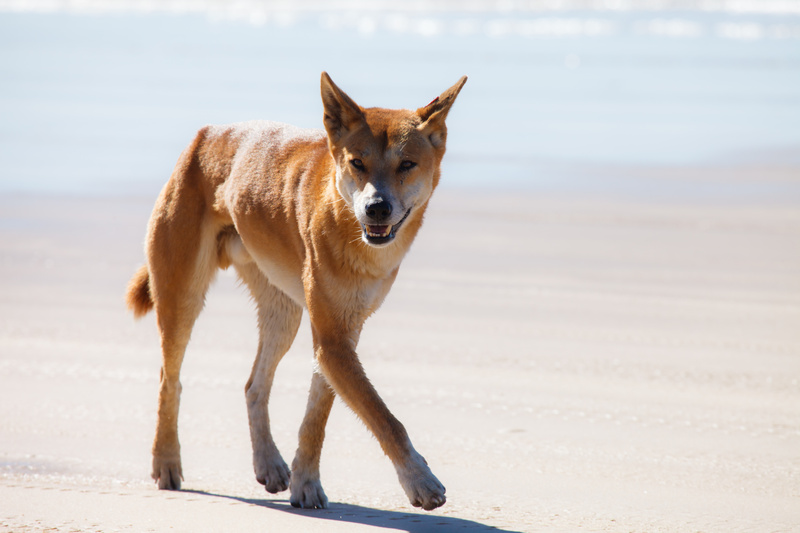 Evidence suggests that dingoes (Canis dingo) can regulate populations of foxes and cats, but dingoes are relentlessly persecuted in Australia due to fears about livestock predation. This persecution is further justified by dingo hybridisation with domestic dogs: the resulting ‘wild dogs’ are deemed worthless because they are no longer ‘pure’ dingo—regardless of their ecological function. Australia has some way to go to become more accepting of predators, but Tasmanian devils may offer a solution for some regions: devils have been shown to regulate cats in Tasmania which, until the recent crash of devil populations due to disease, retained abundant small mammals that were long gone from the mainland. Reintroductions of devils to the mainland (they were there in the past) could help improve ecosystem function and pave the way for future reintroductions of lost species. But rewilding in Australia and Europe shares common ground too: in order to succeed rewilding must involve communities both by furthering an appreciation of nature and by promoting economic and cultural benefits from rewilding efforts. 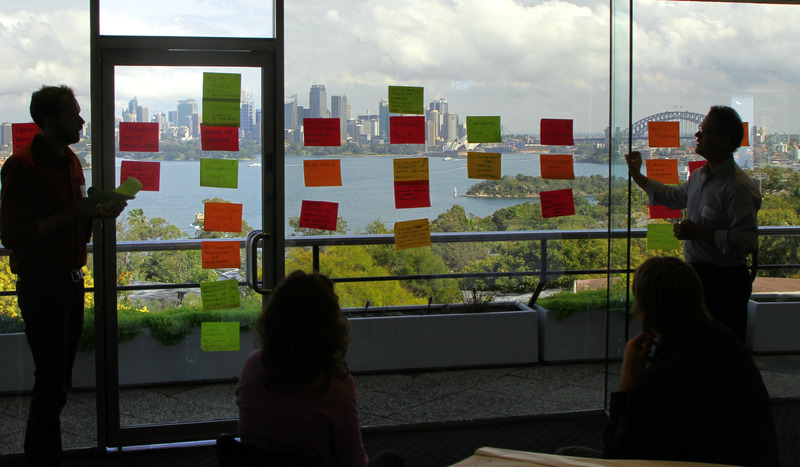 In fact, our forum identified more social considerations that it did ecological! The National Rewilding Forum brought together academics, practitioners, government and non-government to discuss the relevance of rewilding to Australia. It’s clear that although there is lots going on already that fits the definition of rewilding it’s not happening under a shared vision or with a clear set of goals or principles. We would like to begin the development of a vision or statement that contains key action areas relevant to rewilding—much as has been achieved in Europe. That document would then be ratified at a future rewilding conference. How that will progress has not yet been decided, but we hope that those who participated in the forum will continue to be involved constructively. Watch this space to see how we get on!